Chafing dishes can be a valuable addition to your party or gathering, making food service easier and more elegant. They are especially important for formal events and business gatherings, where the look of the party theme makes a huge difference. We constantly supply catering equipment rentals to restaurants, catering companies, chefs,production companies and event venues. Our selection includes full and half size. Silver,stainless, round,Roll top,oblong chafing dishes. Other food serving items include soup tureens, round and rectangle food inserts in small and large quantities. Please browse our selection of serving trays and platters, and complementing beverage service rental items or use our online quote option to choose all of your party products in one visit! 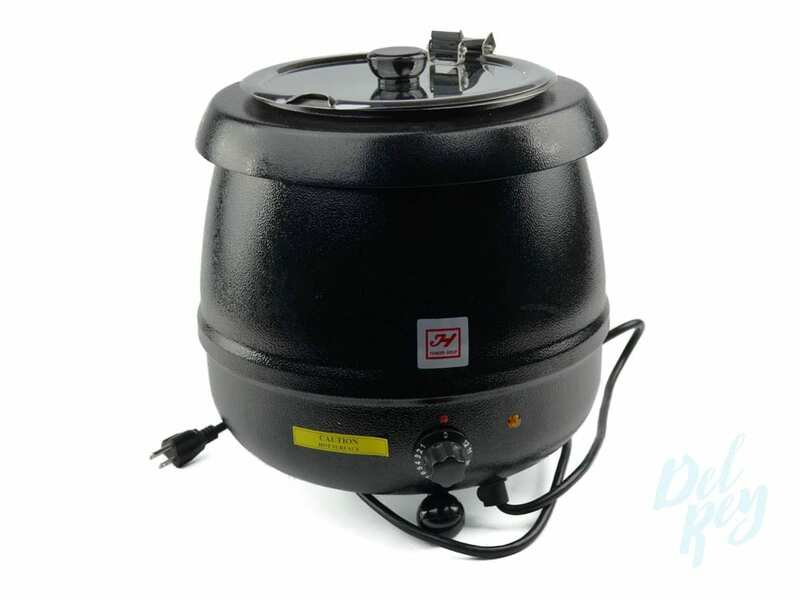 Chafing dishes include: One full size food pan approximately 2-1/2 inch deep, one dripless water pan, one chafer cover-top or roll top depending on the specific unit, fuel holders with sterno heat included. Sterno heat usually lasts approximately two hours. If you require longer heating time please let us know. Additional sterno can be ordered at an additional charge. CHAFING DISH NOBLESSE ROUND ROLL TOP 8 QT. CHAFING DISH SILVERPLATED OBLONG 8 QT. CHAFING DISH SILVER PLATED ROUND 8 QT.